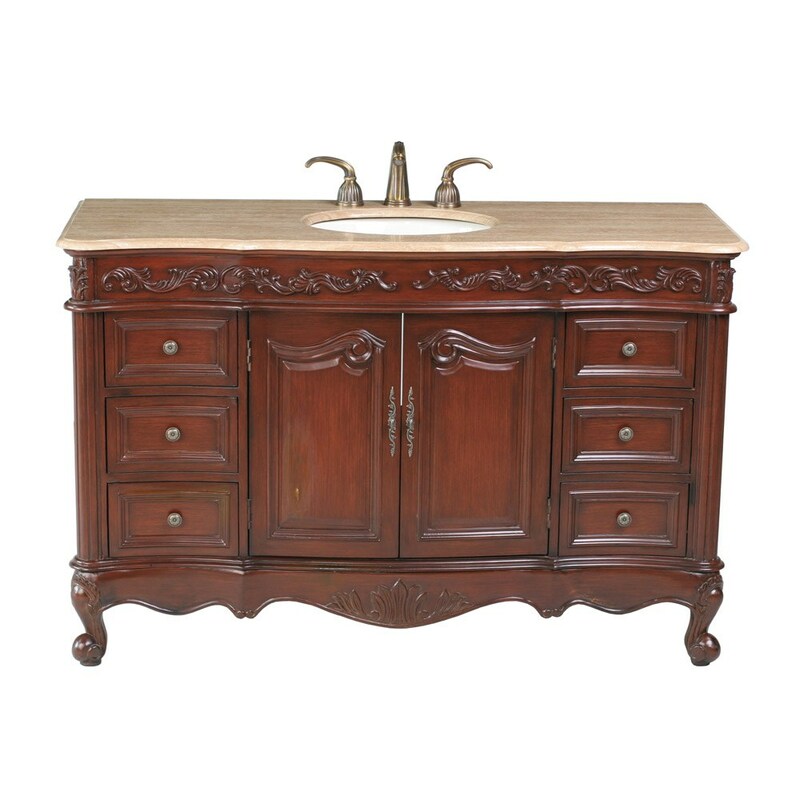 Alluring antique styling is immediately evident in the 56 inch Princeton Single Bathroom Vanity, featuring a smooth Travertine Marble Top. 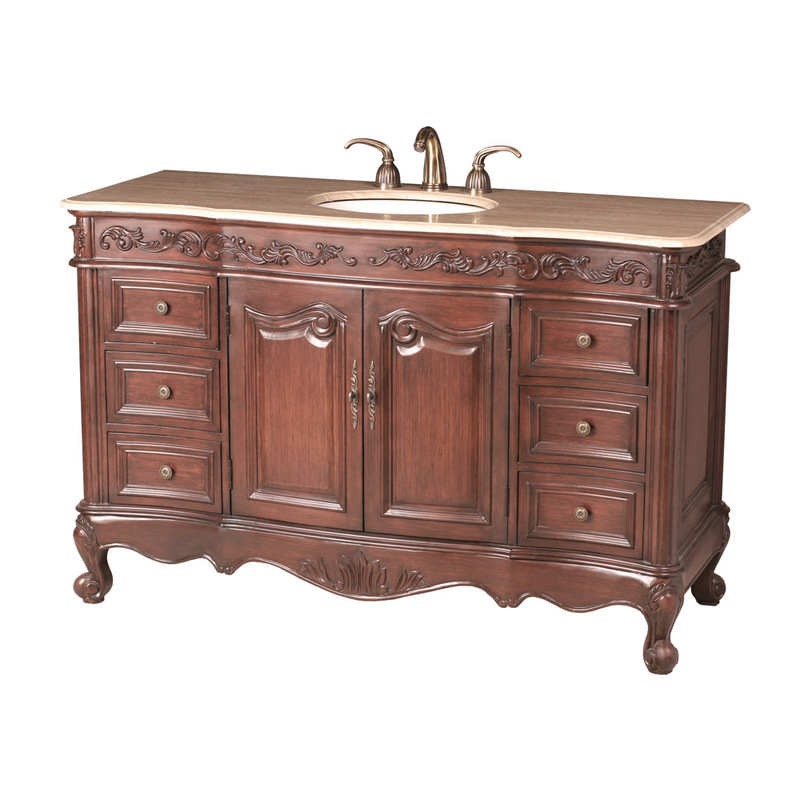 An eye-catching cherry wood finish is highlighted beautifully with raised organic scrollwork on the bottom apron and top trim. 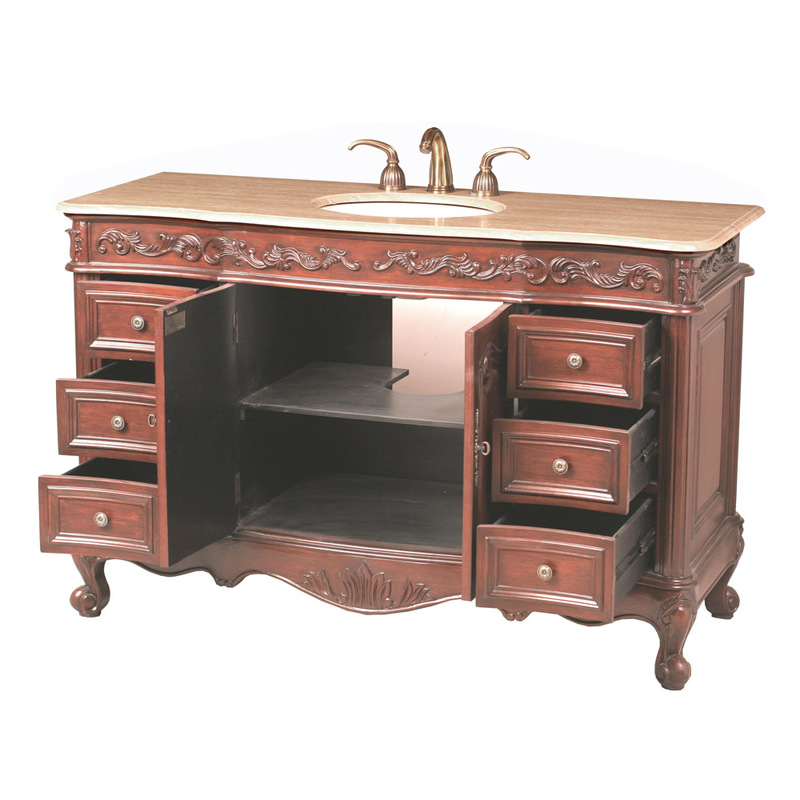 Six subtle convex drawers, with ornate metal knobs, offer an immense amount of storage space to house your every necessity.